This is the third post in a series of 'WISe words for the next generation of researchers' – the aim is to raise the visibility of women in molecular life sciences and to help others by sharing experiences, thoughts and tips as careers progress. Group on the Careers of Young Scientists. What have been your major scientific achievements? My major and recent contribution to the scientific community is the deciphering of the branched protein network between mitochondrial cytochrome c and nuclear histone chaperones in response to DNA damage that similarly governs the cell-fate decision-making processes in both humans and plants. From the evolutionary point of view, our finding figures out a common cytochrome c–centred axis within the cell death signalosome in highly unrelated organisms (plants versus humans) with evident metabolic differences. Collectively, our data indicate that extra-mitochondrial cytochrome c has a double role in leading living cells to death, not only by triggering the pro-apoptotic routes (as it is currently accepted) but also by inhibiting the pro-survival ones (which is an innovative concept). Actually, it makes no sense to keep furnishing a house that is going to be demolished. What do you see as the most important impact of your work? Beyond the scientific achievements, I am especially proud of the training of my PhD students in Structural Biology and Biophysics who, undertaking their scientific careers in these fields, have contributed to the creation of a widely recognized Structural and Biophysical School. Wit, hard work, overcoming limits and innovation are some of the notions I hope to have planted in scientists trained in my group, as a contribution to their professional growth. What have been the main challenges that you have faced so far and how have you overcome those? Up to now, I have faced two main challenges: first, the building of a cohesive and fruitful research team that is nowadays internationally recognized – I have invested a lot of time and energy into this but the outcome is one of the achievements that I feel proud of; and second, the responsibility of taking part in the organization of a joint IUBMB and FEBS Congress, which was held in my country Spain for the first time in 2012 and attended by 2,500 delegates. Although I must admit that on many occasions I have felt a bit dizzy in front of these challenges, they have helped me to acquire the maturity and the leadership capacity necessary to become a scientist and a manager. What would be your advice to young women researchers who are aiming at a career in academia? I guess the same advice that I would offer to young men who are researchers: enjoying the roadmap to discover new findings, focusing to achieve your aims, being creative and original, persevering and working hard, and last but not least, being honest in the treatment of scientific data and their publication. In my opinion, the scientific career is a long-distance race in which mental and personal stability is essential. Therefore, choosing a ‘good travelling companion’ who respects and understands your passion and dedication to work, beyond a fixed working schedule, is one of the fundamental pillars to achieve success in Academia and Science. How do you make the best out of failures? Failure is often part of the journey to ultimate success and we must assume it is a state that will occur throughout our career very often. When it happens and we have fallen, my advice is to get up as soon as possible. And once standing, it is always useful to analyse possible reasons why we have failed. Many failures are due to wrong decisions when we deal with varied situations. Since the pattern of unpleasant circumstances will be very repetitive during our career, the experience of the researcher becomes a valuable tool with which to find a different and right solution to an issue that resembles another already encountered. What is the most important issue that needs to be addressed to achieve gender equality in academia? To me, gender equality is guaranteed in Academia regarding contracts, salaries and working conditions. A different issue is trying to explain the low percentage of women as Principal Investigators or Full Professors. In my opinion, the root of the problem is cultural and social rather than specific to Academia per se. We will only achieve equal opportunities in the professional field if we train young people in a Society where the principles of equality prevail and, more importantly, are internalized. 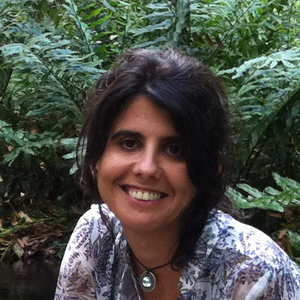 Dr. Irene Díaz-Moreno is Full Professor of Biochemistry and Molecular Biology at the Institute of Chemical Research of the Scientific Research Centre Isla de la Cartuja – cicCartuja, in Seville (Spain). She was awarded with her Ph.D. with European mention from the University of Seville in 2005. 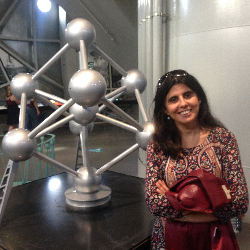 Dr. Irene Díaz-Moreno has worked in collaboration with groups at the Universities of Göteborg (Sweden) and Leiden (The Netherlands) on molecular recognition between metalloproteins involved in electron-transfer processes. She was an EMBO postdoctoral fellow (2006–2008) at the NIMR-MRC in London (UK), working on the regulatory mechanisms of mRNA decay by RNA-binding proteins. In 2010, she got a permanent position at the University of Seville, where she is developing research projects on Biointeractomics field, as well as on the post-translational regulation of biological macromolecules.